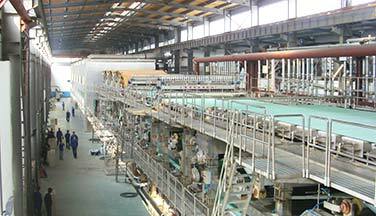 High-grade cultural paper machine is used for making fine paper, carbonless paper in paper making line use wood pulp, waste paper as raw materials. 1. 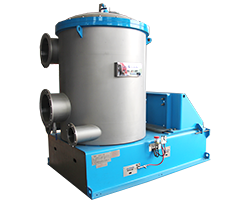 Over 30 years production experience, we are specializing in making all kinds of paper machines and pulp equipment. 2. 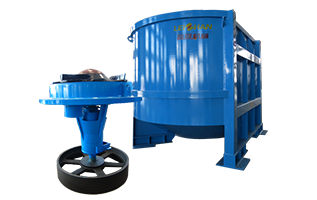 20000 square meters workshop with more than 200 staffs including 50 engineers will be your best support and specialize in making all kinds of paper recycling machines. 3. 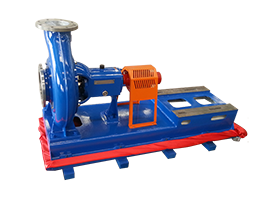 Full technical support: we will provide the foundation drawings of the machine and installation support. 4. ISO9001:2000 and BV certification. 5. 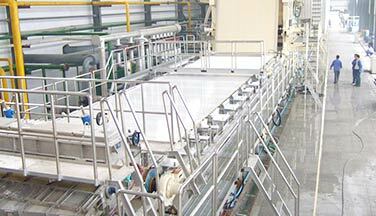 Strict quality control of every procedure, full guarantee of the quality of every single packaging. 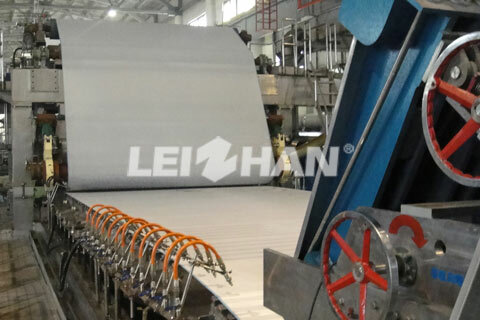 Corrugated Paper Making Line needs Chain Conveyor, Drum Pulper, D Type Hydrapulper, Mid Consistency Pressure Screen, Double Disc Refiner, Inflow Pressure Screen, and so on. 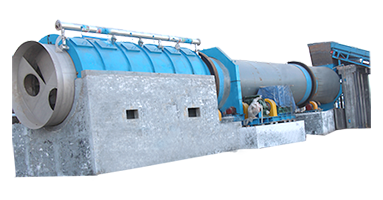 Paper pulp machine used to make waste paper turn to fine pulp for paper forming on the paper machine. 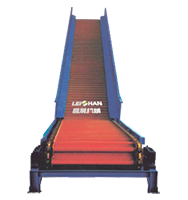 Leizhan plays great emphasis on designing most suitable Corrugated packaging paper manufacturing solutions for corrugated packaging paper makers. 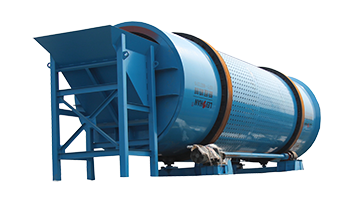 Cultural paper machine line: Firstly, Raw materials are conveyed by Chain Conveyor into Drum Pulper for pulping. 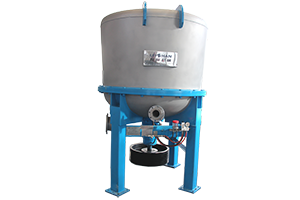 Then, High Density Cleaner helps to remove heavy impurities. 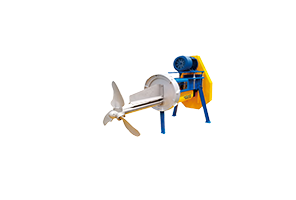 What’s more, we need to improve slurry beating degree by using Double Disc Refiner. 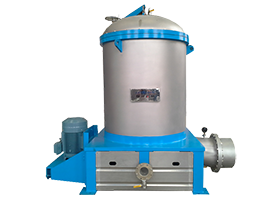 Eventually, the waste paper turn into fine pulp after a series of screening and deslagging and it will be conveyed into Headbox for paper making. © 2014 Leizhan Paper Pulp Machinery Co., Ltd. - All Rights Reserved.